As one of the largest infrastructure projects in Australia, Westconnex is certainty marking its mark on the Sydney map. It will cost taxpayers an estimated $16,800,000,000 ($16.8 Billion). Stage 1 will involve widening the M4 into 4 lanes each way from Parramatta to Homebush known as the M4 Widening which will be completed in 2017. Then 3 lanes each way in a tunnel from Homebush to the City West Link in Haberfield, This is expected to be completed in 2019 and is known as the M4 east. 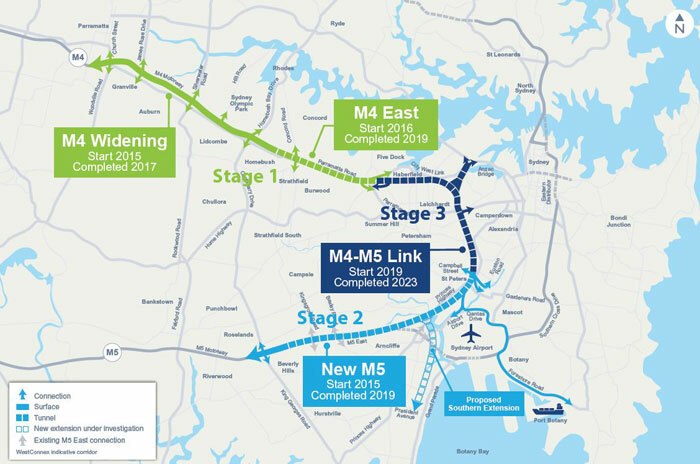 Stage 2 involves new M5 twin tunnels that will run underground from Kingsgrove to St Peters which will connect to an upgraded King Georges Road Interchange and the St Peters Interchange expected to be completed in 2019. Stage 3 involves an M4-M5 Link that will join the M4 and M5 from Haberfield to St Peters with two new tunnels which will have three lanes going in each direction, and provide connections to Victoria Road and the ANZAC Bridge, and the future Western Harbour Tunnel at the M4 end of the tunnel and provide a link to Sydney Airport, Port Botany and Southern Sydney at the St Peters interchange on the M5 end of the tunnel. 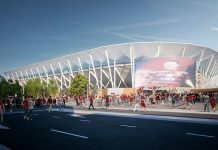 There is a lot of controversy with this project from the locals stating that the funds could be better spent on public transport, however money is being spent on public transport and Westconnex along with Northconnex is filling in the gaps in Sydney’s motorway system which should have been completed a long time ago.